Elon Musk. Steve Jobs. Henry Ford. What do these business titans have in common? They had a clear vision of the future, and the leadership skills to manifest the future they desired. This is a curated sub-category. 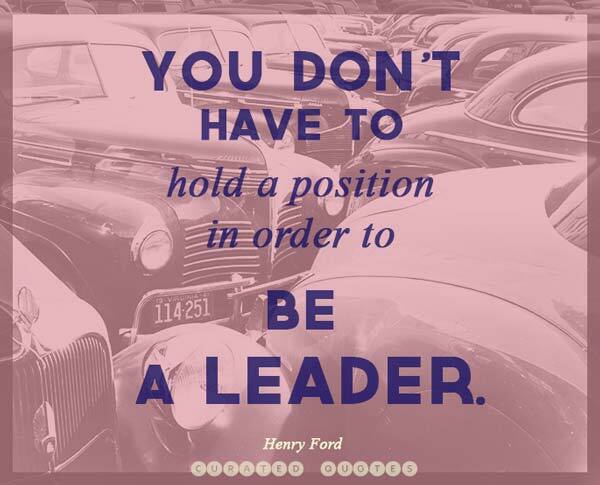 Check out our full collection of leadership quotes. Don’t tell people how to do things, tell them what to do and let them surprise you with their results. George S. Patton Jr.